Client: Chrisp Street Developments Ltd a wholly owned subsidiary of Telford Homes. 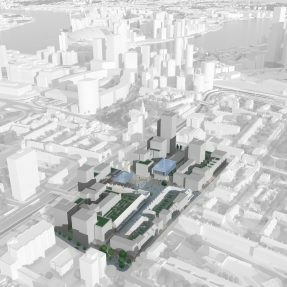 Stakeholders: Poplar HARCA, London Borough of Tower Hamlets, multiple traders such as Coop, Iceland, Boots, The Post Office, and numerous independent businesses and traders. 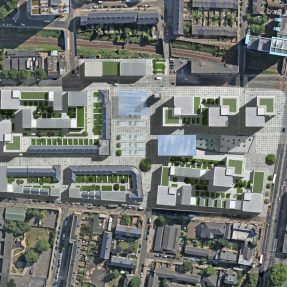 Scale: detailed planning submitted for 650 homes above circa 200,000 sq. 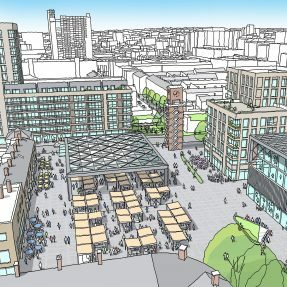 ft. of predominantly retail and leisure commercial space, an improved covered street market together with major public realm and community facility improvements. 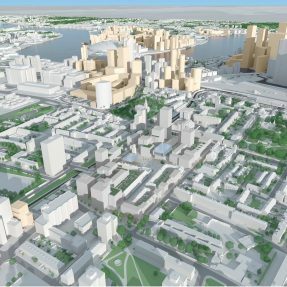 A vibrant authentic east London town centre for Poplar, the Isle of Dogs and surrounding catchment. The business and investment cases for the commercial strategy and associated investment. The freehold ownerships of the key parts of the estate not owned by Poplar HARCA or the London Borough of Tower Hamlets. With R&C established pre-let demand for the cinema and the supermarket anchors.